South Korean rapper Yoon Mi-rae will take legal action against Sony Pictures Entertainment for allegedly using one of her songs in the controversial “The Interview” without permission, her label said Friday. “We came to know that ‘Pay Day,’ a track from Yoon’s third studio album (2007), was used for the film ‘The Interview,’ only after it was released,” her management agency Feelgood Music said. 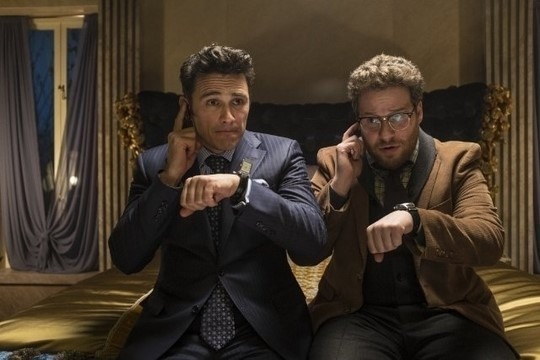 “The Interview,” a comedy film about the assassination of North Korean leader Kim Jong-un, hit about 320 theaters in the United States on Thursday. The film has drawn huge attention at home and abroad due to a cyberattack blamed on North Korea and threats against its release. “We initially received an offer to insert the song, but discussions were on hiatus on some points. Sony Pictures Entertainment used the music without due procedure or contract,” it claimed. A part of Yoon’s song, “Yell louder, yell louder, yell louder,” was inserted in a scene in which Kim drinks and play billiards with women in lingerie and an American talk-show host who came to interview him, according to the management agency.